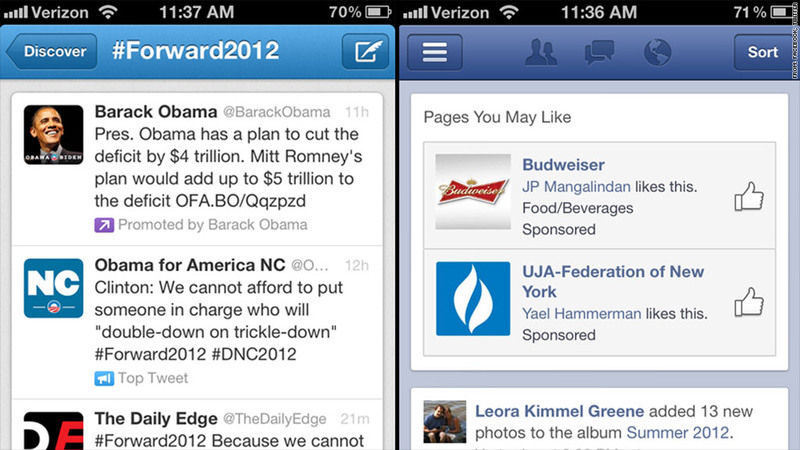 Facebook (right) and Twitter both offer mobile ads, but neither makes a lot of money on them. Facebook's struggles in mobile were put in perspective this week, when a report showed that lowly Twitter has outpaced the giant social network in U.S. mobile advertising revenue. According to the eMarketer report, Twitter will rake in $129.7 million in mobile advertising in 2012, while Facebook will sell $72.7 million worth of mobile ads. But Facebook (FB) may be due for a big mobile surge in the next few years. The social network's U.S. mobile revenues are expected to surpass Twitter next year and leave it in the dust by 2014, when eMarketer forecasts Facebook's mobile ads will top $629 million, compared to Twitter's $441 million. That would also push Facebook ahead of a host of other competitors it currently lags, including Pandora (P), Apple (AAPL), and Millennial Media (MM), making the social network giant the number two mobile ad earner in the space. Overall, Google still wears the crown -- by a long shot. The search leader rakes in more than 50% of the mobile ad sales, and it is expected to continue that trend over the next several years. Mobile is becoming a crucial battleground: As more people turn to their smartphones to access the Internet, giants like Facebook and Twitter have shifted their attention to making money off that growing mobile user base. Facebook says more than half of its 955 million active users access the social network on their mobile devices. 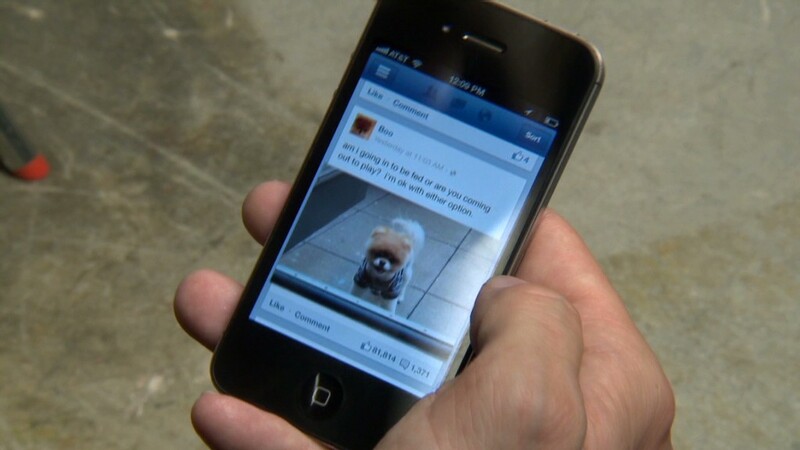 "The future is mobile," Facebook director of product management Peter Deng told CNNMoney in a recent interview. "If you take a look at sort of the device itself, it's arguably the most personal computer we've ever had. Back in the day, way back in the day, computers lived in rooms, they lived in storage houses. You had to go to the computer, and today they sort of fit in our pockets." But making money off those users hasn't been easy. Facebook's mobile app, which recently received a makeover to make it faster, features "sponsored stories," which have been a strong source of revenue for the company on the web. But Facebook makes little money off sponsored stories on mobile devices. The company says to expect a long-term approach to growing its mobile advertising revenue. As Facebook geared up to go public, CFO David Ebersman warned investors that mobile monetization is still in its early phases. "Expect us to invest heavily in mobile," he said. "Even if mobile monetization is uncertain and will take time."